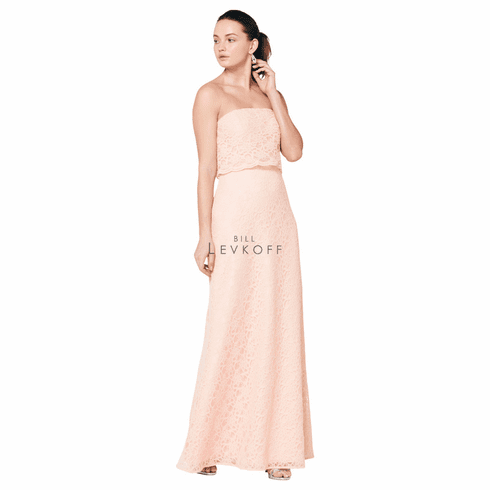 Description: Corded lace strapless gown with a draped overlay. Mock two-piece. A-line skirt.